At Cosmedics we use Radiesse for non-surgical facial contouring. Radiesse restores a healthy youthful appearance, enhances your existing features, helps to defy age and gravity all without invasive surgery or scarring. Radiesse dermal filler works with your own body in a remarkable way. Upon injection it immediately adds volume to contour, correct and beautify facial features. 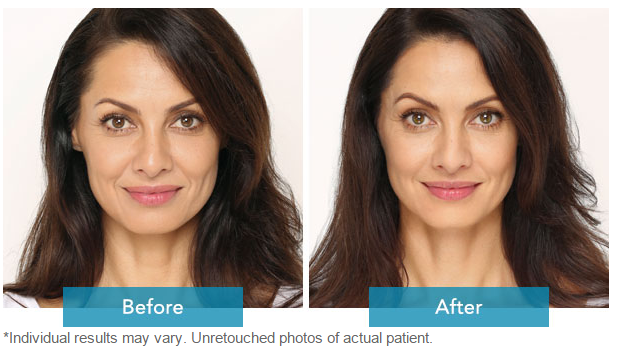 Unlike other dermal fillers, Radiesse continues to work over time. With its patented microsphere technology it starts a process called collagenesis, stimulating your body to produce new collagen and encourage collagen to grow around the injection area. You can see the results immediately and results last up to a year or more for many patients. Treatment time takes from 30 to 60 minutes depending on the areas being treated.